Usually in this space we focus on the precious metals markets and the economy. These days, however, the markets are increasingly affected by foreign policy, so many Birch Gold clients are interested in much more than topics such as China’s insatiable demand for gold or the cost to mine an ounce of gold. For example, we’ve recently fielded many questions about the recent turmoil in Iraq and what implications it could have for the price of gold. Another important development is the strong geopolitical current that’s ebbing away from the U.S. dollar and realigning global markets and economies with… something else. A prime example of this accelerated move away from the dollar is what’s happening in Russia and the Ukraine. Have you noticed how the situation there is no longer burning up the headlines as it was a couple of months ago? Did you assume it had just sort of worked itself out and is less newsworthy because things are getting more peaceful? If you did, you would be wrong. The last 11 weeks have been horribly violent and have claimed some 435 lives. But the American media is focused on other things. Why the complacency among our media? It could just be that American readers are fatigued about war headlines that have nothing directly to do with us. Or it could be that our leadership has had to back off the saber-rattling since Russia started talking seriously about attacking dollar hegemony, because we can’t seem to let Russia and others handle their own affairs. We always have to stick our nose in. We always have to pick sides. There always have to be sanctions and provocations. And Russia is certainly not alone in its frustration with our interventionism. Iran comes to mind immediately, as does China, for different reasons. 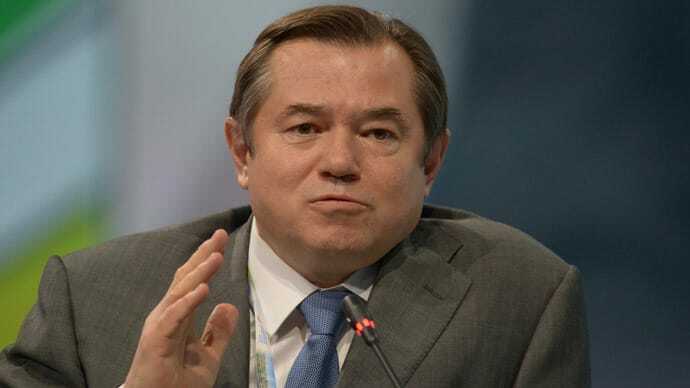 In response to Washington’s latest round of proposed sanctions, Russia recently took the saber-rattling to new heights when Putin adviser Sergey Glazyev openly and adamantly proposed strategies and arguments in favor of crashing the U.S. dollar. Glazyev had been promoting this for months, and now his provocations are gaining ground. In fact, Europe has taken the threats so seriously that many nations have urged the U.S. to back off of sanctions. For many reasons, sanctions against Russia could further cripple struggling European economies. Countries such as France, Italy, Germany and Austria have close economic ties with Russia, so forcing them to choose between trade with Russia and peace with the U.S. could be destabilizing and chaotic. 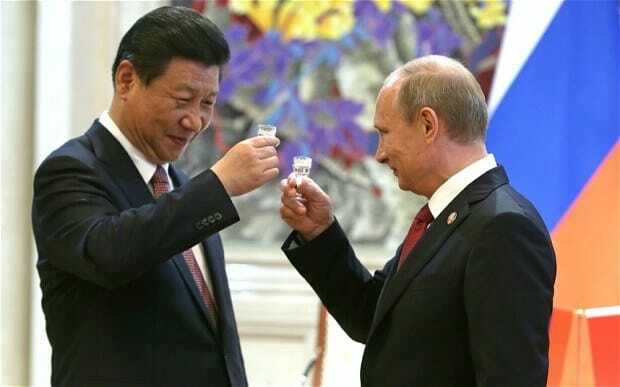 Glazyev already has a track record of bringing together unlikely allies and trading partners, for example with the Eurasian Economic Union and also by urging a natural gas deal between China and Russia. Now, this latest push is to form a coalition of countries that can economically tolerate the short-term fallout of abandoning the dollar for the hope of some long-term independence from Washington’s interventionism and monetary inflation. With all the enemies our government has been racking up, it would be wise for them to pay attention and carefully consider their next moves. Clearly, the days of the U.S. throwing its weight around with impunity are coming to a close, as powerful opposing forces are gearing up for serious pushback. It’s impossible to know how this will play out, but ask yourself this: Do I want to wait to find out what the fallout may be? If you’re unsure if your portfolio could survive such a scenario, think about moving some of your savings to gold.